How to Backup Exchange Online mailboxes to PST? 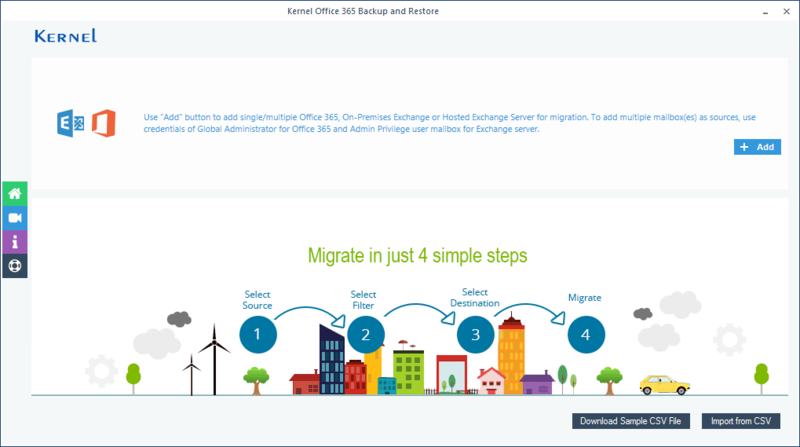 In this article, we will discuss the methods to backup Exchange Online mailbox data to PST. We will discuss a manual as well as an automated method. The eDiscovery export method is not a direct method for Exchange Online backup, but that's the only option you have to protect your Office 365 data or to migrate Office 365 data to MS Outlook. 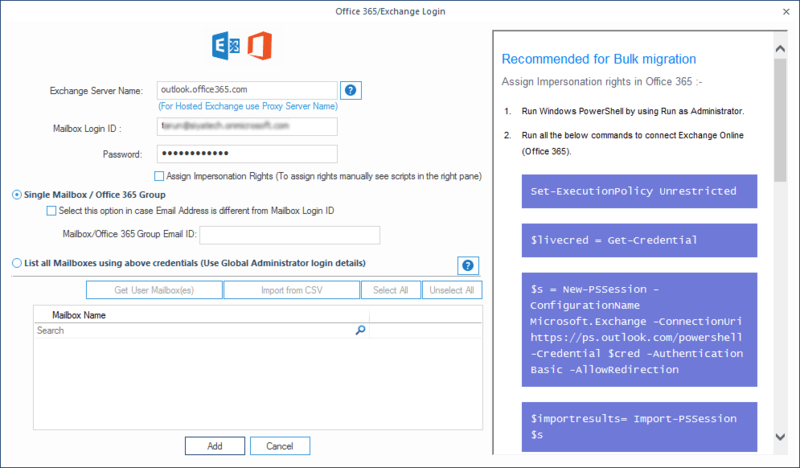 Follow the steps export Office 365 mailboxes to PST using eDiscovery Export tool (you need to have eDiscovery Mangers permissions to perform these steps). STEP 1: Login to Office 365 portal and open the Office 365 Admin Center. STEP 2: Click Admin Centers to expand it and click Security and Compliance. STEP 4: Select Search everywhere and then select Exchange. 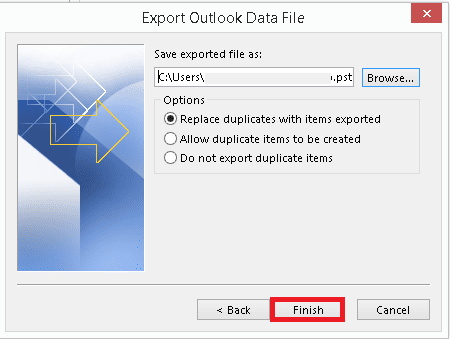 If you want to export specific mailbox data, use Custom Location Selection, click the plus (+) button and add the mailbox you want to export data from. STEP 5: This step will take you through all the filtering options. In case you want to export all data, do not change the default set filters. Click Search when you are done. STEP 6: Click Start Export when the Search wizard completes the background search. STEP 7: Next, a pop window will appear giving several options. Choose the options and click Start Export once you are done with the settings. 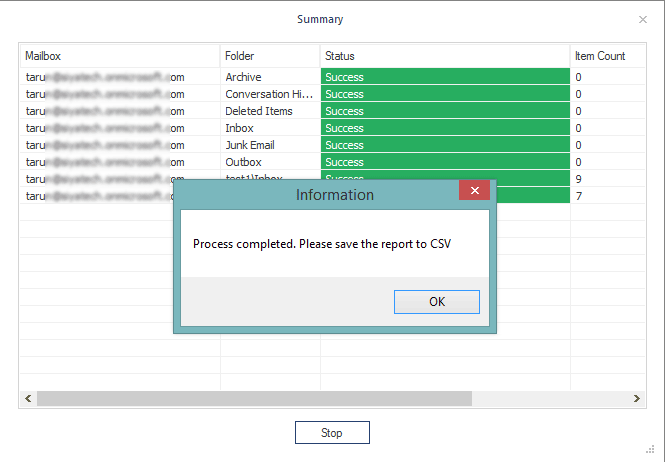 STEP 8: Click Download exported results (under Export results to a computer) after the data export wizard finishes. STEP 9: Now, you will receive a system generated the special export key. Copy this key using Copy to clipboard as you will need this in the next step. STEP 10: This is the last step. Paste the copied key (from the previous step) in the space provided. Also, browse to the location where you want to store the downloaded PST files. Click on Start to begin the export, close the application once it is done. 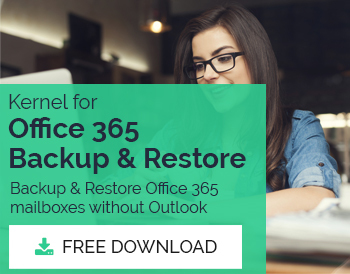 If the manual method seemed complicated or didn't work for you, then we have a better solution for you – Kernel for Office 365 Backup & Restore that saves Office 365 mailboxes in PST file format. This is a simple and user-friendly tool. Follow below-mentioned steps to back up Office 365 mailboxes. 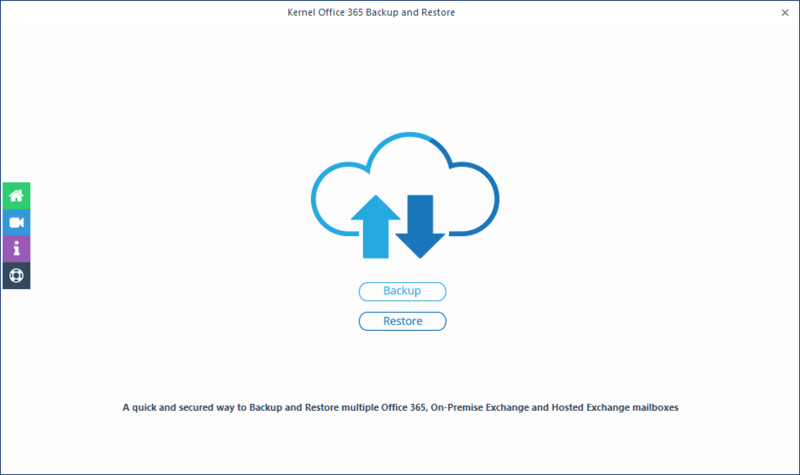 STEP 1: Launch Kernel Office 365 Backup & Restore and click Backup. 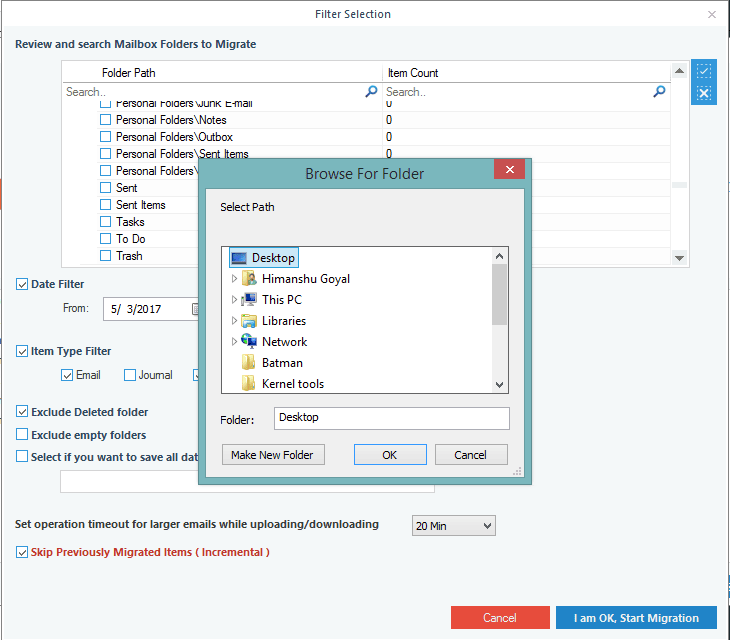 STEP 2: Click the Add button to choose a single mailbox for migration. 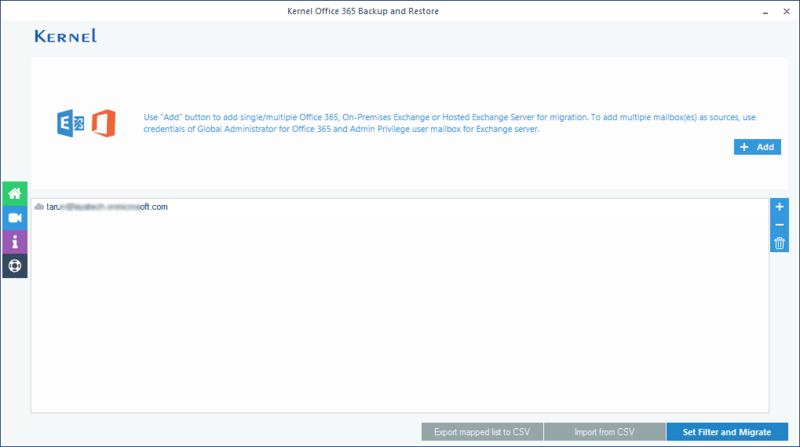 STEP 3: Enter the credentials of the Office 365 user, click Migrate above-mentioned mailbox only and click Add button. STEP 6: Next, browse and select a location for the backup. STEP 7: When the migration is complete, a dialog box will appear as shown below, click OK.